MOV is one of the most commonly used video formats. But not all video devices support MOV. For example, to play MOV videos on iPod or iPhone, you need to convert MOV to MP4; to edit MOV video in Windows Movie Maker, the first step is to convert MOV to AVI or WMV. This article will introduce an excellent MOV video converter for you to easily convert MOV videos. MOV file format was created by Apple Inc. It functions as a multimedia container file that contains one or more tracks, each of which stores a particular type of data: audio, video, effects, or text (e.g. for subtitles). The advantage of MOV files is the ability to contain abstract data references for the media data. That means that they can be easily edited - no need to rewrite all media data after editing. 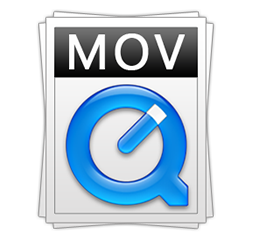 Though MOV files are quite often found in the web, to play them on Windows computer one has to install an extra component, like QuickTime Player, or convert to other format. The best and also fastest video converter to MOV or from MOV to AVI, MP4, WMV, FLV, MP3, AAC, and so on. Why do we Need MOV Video Converter? Because MOV video converter is the only solution to make MOV videos "become" compatible with other video devices or portable players. We have mentioned this in the beginning of this article. Besides, some users might wish to play other video files in QuickTime Player. And you need to convert those regular videos to MOV format, too. WinX Video Converter is a free yet powerful video converter which can convert MOV to WMV, MOV to AVI, MOV to MP4, MOV to FLV, etc, and convert other popular videos to MOV format. It also supports converting MOV files to MP3 audio format. For more features, please click here. How to Convert MOV Videos with MOV Video Converter? WinX Video Converter works perfect as a MOV video converter. Now, free download it on your Windows pc, and we will take this program for example to introduce the steps to convert MOV videos to other file formats. Click "+ Video" button to import the source MOV video. If you want to convert MOV to MP4, simply choose "MP4 Video (MPEG or H.264) " as the output format. 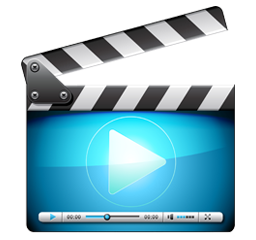 Converting MOV to M4V, AVI, WMV, 3GP or other formats is also available with this covnerter. And nearly all mainstream devices are classified clearly for your needs, such as Apple iPhone/iPad/iPod, Android Pads/Moviles, Sony, Microsoft phones and tablets. Save video after conversion to your computer by clicking "Browse" and select the folder. Start converting MOV video by clicking "RUN" button. More about this MOV Video Converter： Besides converting MOV video to other regular file formats, you may also import other video files and choose "to MOV" as the output format to convert to MOV video. 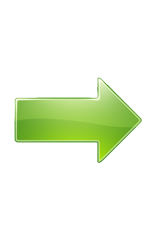 Free download this MOV video converter now. If you need to fast convert among all SD/HD/UHD videos such as MP4, MKV, MOV, MTS, AVCHD, H.265, H.264, etc, just turn to WinX HD Video Converter Deluxe.